So I stepped on the scale this morning before breakfast and had the treat of seeing the numbers reflect a 3 pound loss since the last time I weighed in six days ago! This brings me to the total weight loss since starting my whole food plant based diet 15 weeks ago to 39# WOOT WOOT!!!! I realize that I am still tentative about the whole thing - so I am always sort of bracing myself each time I step on the scale for mediocre, nil or negative movement in the direction of weight loss, and so get a happy thrill when the numbers are still going down. I've been doing this thing where I say to myself - "I'll weigh in today - before breakfast - but I'll wait a bit - maybe I'll use the potty again before I weigh" and the next thing I know it is 5 PM - and I haven't eaten breakfast! So I weigh in and of course there is a more significant weight loss, but the next time I weigh in a few days at a more reasonable hour, it looks like I have gained because of that false reading after a near 24 hour fast. Today's reading was at 10 AM - still need to eat, but wanted to write. I am not advocating missing breakfast - it is just an indication of me still not quite believing I'm really doing this and it is still working. Here's the thing - it isn't because of anything that is or has happened recently - it is still my old inner someone being really negative and maybe protecting my easily bruised ego. And maybe even a part of me that is truly trying to undermine my quest for better health and happiness. There is a battle inside, I know it. I don't necessarily understand it, but I sense it most definitely. 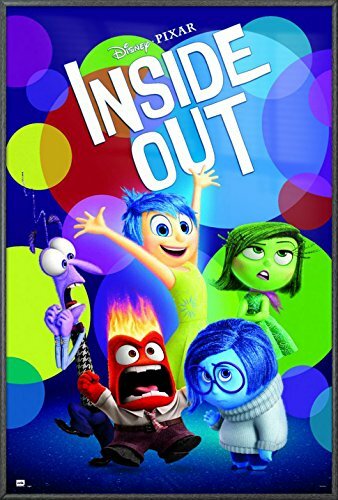 Guess it is time to rent "Inside Out" which everyone recommends to me - to see my inner community portrayed on screen. One thing I started to see last night was how I've not only allowed stress to undermine prior weight loss attempts, but I think I've actually orchestrated the stress to give myself an excuse - somehow, subconsciously - because it didn't feel like rebellion at the time - it totally felt like I was the victim of countless stressors imposed from the outside, not the other way around. I asked myself why stress always seemed to get worse when I was trying to do something good for myself . . . and then it occurred to me that I actually go out of my way to seek stress as an excuse to bail on my diet. WHAT!??? ME!??? Do that to myself!??? EEK! Sure - no fun to admit, but maybe, hopefully, I can turn the tide by recognizing it now. I've been suffering increasing lower back pain all winter - I started to think it was my office chair finally needing to be replaced - or that the cold has kept me inside and not moving as much as I usually do - but a friend surmised that I was holding tension in my back in my resistance to making this huge change in my life. Wow! What a concept! So it was REALLY bad this past weekend and last night I listened to a guided meditation for healing and relaxation that I looked up on YouTube - it was pretty neat - and lo and behold, I stood up without pain afterward. Plus, my mind was more at peace than it had been in a long time. I've been apologetic in the past about being on any kind of food plan that was different for me or those I associated with - and this time I'm kind of in your face about it or at least matter-of-fact about it. I hate - I mean I absolutely cannot stand it - if I think someone doesn't like me. I PANIC at the thought - I lose all sense of logic and reason - just like it is the end of the world - and oh my goodness what can I do about it, if anything. That is pathetic. If someone doesn't like me, so what? Usually it means more about them than it does about me - or we are just different and so be it. But I typically freak out and it ruins my day or week or . . . The really sad part of that is, I am so obsessed over someone I fear doesn't like me, that I fail to appreciate all the dear wonderful friends and family I do have, sometimes even pushing them away. And I would forego taking care of myself (if I don't - no one else can) to prevent anyone getting their feelings hurt or being inconvenienced or annoyed. Well, enough musing for today - it is ROOTSTECH 2016 this week! I am attending the Innovator Summit on Wednesday, and then all three days of RootsTech - W-S - will definitely need that guided meditation each night after a day at the Salt Palace!